We will be starting to cook the sound track to 2016 on 5th January. As we press ‘post’, the play list is just is still ripening on the tree waiting to be plucked. We have no idea what it will taste like, but that is half the fun, discovering new sonic ingredients and testing out new taste combinations. 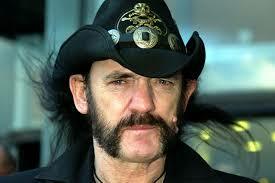 STOP PRESS: You can be pretty sure there will be a tribute to Lemmy somewhere in the show! To tune in, go to www.dapperfm.co.uk from 8pm o’clock hours Greenwich Mean Time. As usual, the show will be sponsored by Rhondda Cynon Taff UNISON, the union for public sector groovers.